July 1, 2013 was the 101st Foundation Day of St. Agnes’ Academy. Due to the inclement weather, the actual day of celebration was moved to July 3rd. On this special day, a Thanksgiving Institutional Holy Mass was held at 8:00AM at the school gymnasium attended by the Grade School and High School students, teachers, office, general services and Sipag-Ko personnel, alumni and parents. This was followed by the blessing of the canteen extension, school fence and gate. Then, the Institutional Program of songs, dances, and tableau was presented highlighting the different programs and focus of the school for this school year. Year of Faith, Mission consciousness, Family Evangelization and Ecological Consciousness. In the afternoon, a School Culture Quiz by department was held. Other SAA 101st Foundation Day activities that were carried out from July 4-10 are the following: Archives-Museum tour, Rich conversations with the Alumni and Mural Painting on the Hallmarks of Benedictine Education. 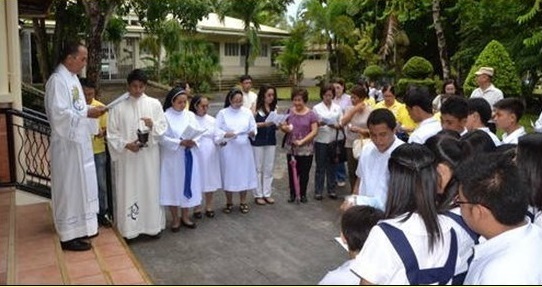 On the Feast of St. Benedict, an institutional Holy Mass was held with MOA signing with the partner SIP/Outreach communities and commissioning for all the students, teachers and personnel for their SIP/Outreach activities for the school year. Right after the Mass was the Induction of all the officers for class clubs, Faculty Club, OP/GSP Club, PTA and SAA Alumni Association. After the break was the re-launching of the city and school’s Waste Segregation Program. 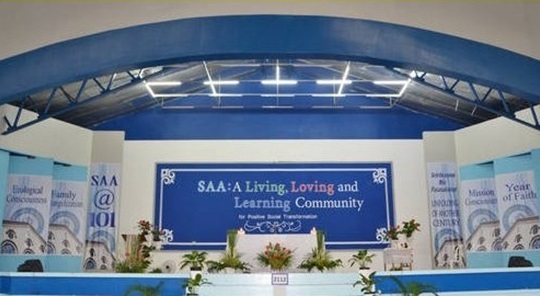 July 12th was the last day of the SAA @ 101 Foundation Day Celebration. The school’s I SAY NO TO BULLYING program was re-launched. This was followed by the “Friendly” Sports Festival wherein the teachers and personnel played volleyball and basketball against the alumni and parents. In the afternoon was the Thanksgiving Variety Show performed by and which showcased the talents and gifts of the grade school and high school students, teachers, personnel, alumni, parents and Sisters. It was a fitting way to praise and thank God for the 101 years of grace bestowed upon St. Agnes’ Academy.